Tyre review data from 101 tyre reviews averaging 80% over 1,183,939 miles driven. Michelin CrossClimate launched - is this a game changer? Does the Michelin CrossClimate really work in all conditions? Positive - Lowest wear on test, good in the dry and on icy roads. Negative - Weak on snow. Positive - The Michelin CrossClimate has an excellent all round performance, with a particular strength in the dry and wet. Negative - Average snow handling. 2016-03-25 - Hi! I'd like to have some suggestions from you about these tyres. I drive a Citroen C5 Tourer and now I have to choose new tyres; I've seen the new Dunlop Sportmaxx rt2 as a summer tyre and it seems to be the best choice for my car, but in winter I don't wanna have winter tyres anymore. Could the michelin Crossclimate be a good alternative, a good compromise for my car for an all year round safety drive? Thank you for your answer! This is exactly the type of motoring the Michelin CrossClimate is designed for. If you plan to use your car in the north of Scotland, or to drive to the alps a dedicated summer / winter solution is still the ideal, however if you just want to use your in the mid/south of the UK, year round without worrying about what tyres are on the car, the CrossClimate is the tyre to fit. Like most modern tyres, the CrossClimates have thin sidewalls to reduce heat build up and weight in the tyre, which affects fuel economy and comfort. As you can read in our full test here the CrossClimate has the advantage of feeling like a summer tyre, where the other all season and winter tyre in the test were noticeably more vague. Michelin are going through a process of simplifying their product range so they only have the highest load rating of the tyres. This is fine for insurance, and looking at the tyre tests, fine for comfort too. Ideally you would change all four tyres, but during the summer and autumn months it is fine to change two, only during freezing, snow and ice driving would the difference become apparent. You would run the standard pressures with the XL CrossClimates. Yes, the Michelin CrossClimate is mountain and snowflake symbol marked so fully legal in countries which require a winter tyre. 2016-10-28 - Hi, I have just replaced 2 front worn radials on my Merc A180 with crossClimates, but the rear radial tyres dont need replacing yet, will this affect performance and safety when driving. It's always best to fit the new tyres to the rear of the car, especially when changing tyre types as you are with the CrossClimate. While the balance in the dry should be fine, in cold wet and snow the car might have a tendency to oversteer which is far more difficult to control than understeer. 2017-03-26 - Are crossclimate legal as wintertyres in countries that req wintertyres as law in certain months. Yes, the Michelin CrossClimate is "mountain and snowflake" rated, which makes it a legal winter tyre. Unfortunately Michelin don't currently have any plans for 165/65 R14 CrossClimate size. 2017-11-05 - Does cross climate have a greater fuel consumption than summer tyres? Because I see mixed user reviews about this but no actual test. If you look at the 2017 all season tyre test the CrossClimate has a lower fuel use than the summer tyre included in the test. 2018-03-04 - Im considering purchasing some cross climates for my car. However, my car has 14" wheels and I understand that Michelin do not produce the crossclimate+ tyre in 14" sizes. Is there a noticeable difference in durability and performance when worn between the standard crossclimate and the + models? And is there a reason why they do not produce the + model in 14"? There are minimal differences between the CrossClimate and CrossClimate+ versions of the tyre. I would imagine the current lack of + version would indicate it's a low volume size and the moulds have yet to be updated. 2018-03-30 - My current Continental Sport Contact 3 tyres are down to 3mm on the front (rear 6mm). On any kind of light snow/slush the front tyres just spin. Could I fit 2 Cross Climate tyres or shouldn't you mix summer and all season tyres? It is not advised to fit just two all season tyres, when you do encounter snow or ice the grip imbalance is so high it can cause very dangerous situations. 2018-06-28 - I'm in a quandary; which would be my best choice? Michelin CrossClimate or Nokian Weatherproof SUV 235/65R17 for a Toyota RAV4? It depends on your usage plans, however I believe the CrossClimate a better all season tyre for the majority of the UK as the Weatherproof behaves more like a winter tyre in the dry, which gives you extended dry braking. 2019-03-01 - Why Crossclimate have so much difference from Crossclimate+ on ice performance? It shouldn't, both tyres should be very similar. I am somewhat disappointed in these tyres, having previously had Conti Wintercontact TS850 and Nokian Weatherproof under me, these have not showed the same level of wet grip and wear as the Weatherproof. Tread depth is low from new and this may improve on dry braking and handling at the expense of long life. Over rated in my view for the most part. Have you driven on the Michelin CrossClimate tyre? Please help millions of other drivers make an informed tyre choice and pick the correct tyres for their car by submitting your review of the CrossClimate. Good tyres except for one realy realy annoying thing these tyres pick up stones, in fact I do not belive there are any loose chipings left on the northern section of the A34, they are all stuck in my tyre treads. However if you enjoy a constant tick tickety tick.tick. from stones stuck in your treads. 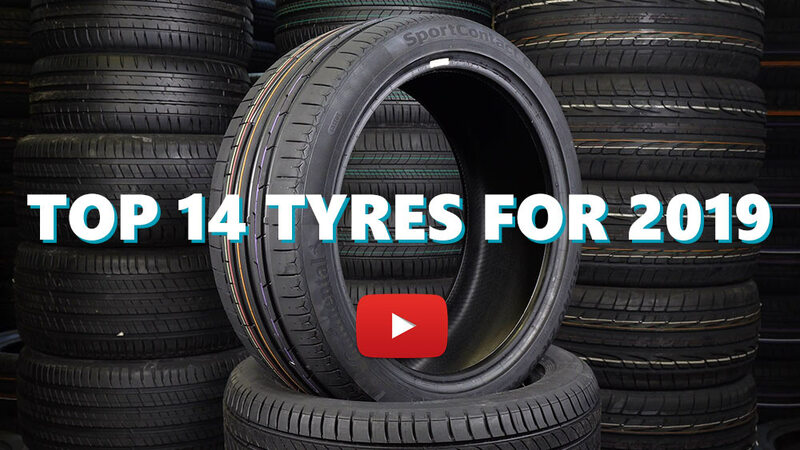 these may be the tyres for you. This design flaw will stop me ever having these tyres again. The tyres are hazardous in the wet conditions, specially if it's moist. they block really fast. I have never driven a tyre that would be better in snow than on the moist road. If you already own this tyres keep your safety distance...you will need it. Otherwise it performs ok, but braking capabilites and distance is really something you need to watch out for......when completing the performance test on all season tyres, they should complete them with one year old tyres, because after this particular tyre has been exposed to one mild winter it is useless. If you're thinking of all season tyres and you're not in a snowy area, invest in some good summer tyres like good year or continental or even nexen or falken. And if you live in a colder snowy area and you're looking for an allseason tyre just buy a good low wear winter tyre and drive it all year round with low highway speeds. For a city car, just go with winter tyres. Best tires for wet road i have ever had. Very good on snow. For ice with water on top one should be very careful as the Grip is not good. Grip on slushy ice was not as good as grip on fresh snow. Have ran the original CrossClimates for a couple of years now up in Cumbria. Wet and dry performance has been great, I don't push the limits but do drive fairly quick when I need to, usually I try to drive as economically as possible. They have worn really evenly across the tread and never really felt like a worn tyre like others usually do as you get below 3mm. Michelin weren't lying about their efforts to maintain performance as the tyre wears, while I'm sure it does change, it doesn't seem like it. They've also been very stable regardless of the temperature. Saw snow twice, the first time was maybe 1-2 inches down but small FWD estate that was 4-up managed a 13 degree uphill incline covered in snow and slush without too much drama. It wandered laterally a little bit but once it found grip it was away, not bad considering the tread would have been at around 3.5mm at that point in time. The 2nd time with newer tyres, the ol' Beast from the East struck us and our village was cut off for a few days as we'd had over a foot of snow down. Needless to say it caused trouble and even the farmers in their tractors were spinning their drive wheels hunting for grip. The problem was a 2" thick layer of ice sitting underneath all the snow. On day 2 I cleared the snow from around the car and attempted to move it, silly idea that was. Looking back, I don't think anything other than studded tyres would have worked due to the ice, even a metal shovel struggled to break it up. All in all they have been good tyres, no scary moments to speak of. I agree with many of the test results regarding aquaplaning as it does seem a weakness compared to other tyres I've used in the past and they tend to bounce through deep puddles rather than cut through them. On the open road in heavy rain though I've not had any aquaplaning issues but then most of my driving is very rough country lanes. Which not only harbour endless puddles and potholes but also seem to shred tyres faster than normal. They only had 6mm tread when new which was disappointing, hopefully the CC+ will have improved on this.